Dance Commentary by Heather Desaulniers: "What Do I Remember"
Four dancers entered the space and began repetitive motions – a pivoting foot, a torso melting to the side, an arm bent and then straightened. As each cast member repeated these various choreographic tasks, their eyes and heads tried to follow and comprehend the movement. But the body and mind couldn’t quite connect; they were purposefully disjointed. Desperately trying to work together, these two entities were consumed by crossed channels, lost in a sea of mixed messages. 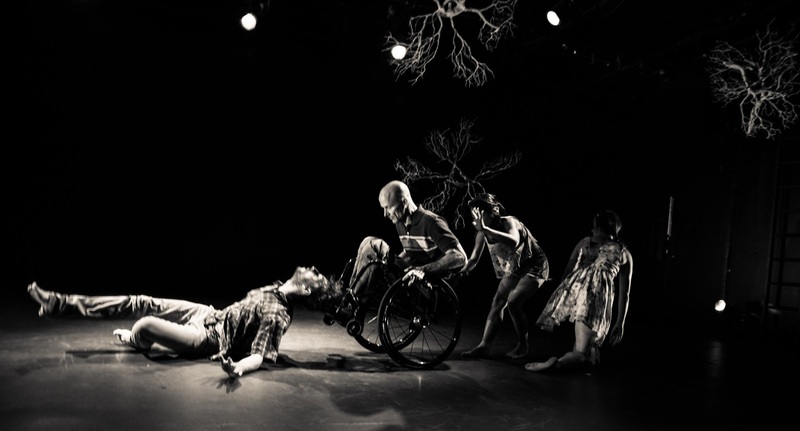 How are the physical and the neurological related; how do the body and brain respond to loss, grief and fear; how can recollection and repetition lead to new pathways and connections – these are the themes that lie at the heart of What Do I Remember, a new world premiere by Wei-Shan Lai & Dancers. Artistic Director/choreographer Wei-Shan Lai has assembled a host of talented collaborators to bring What Do I Remember to life - media designer Olivia Ting, scenic designer Chih-Wei G.V. Chang, lighting designer Heather Basarab, composer Ben Juodvalkis, cinematographer Joel Wanek and neuroscientist Yu-Wei Wu. And the entire project speaks of ingenuity, innovation and authenticity. What Do I Remember is full of recollection, mostly expressed through storytelling. 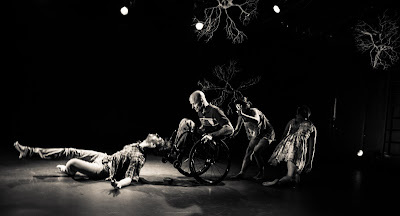 All four dancers (Yuko Monden, Kiplinn Sagmiller, Dwayne Scheuneman and David James Silpa) share vulnerable personal narratives, including Scheuneman’s tragic recounting of how he lost the use of his legs. With these recollections, Lai is demonstrating how the act of speaking something out loud, the act of expressing can in itself build new pathways in the brain and in the body. It isn’t about forgetting what happened; it’s about understanding your relationship with that memory today. Repetition also played a huge role in What Do I Remember, again in an effort to reflect the creation of new physical and mental pathways. Text phrases (“everything will be okay”) were repeated; group lifts were sequenced; a gorgeous penchée arabesque/rond versé recurred. And as these elements repeated, you could see them change and evolve, just like memories. Choreographically, there was also a significant shift over the piece’s forty-five minutes. The initial detached, jarring movement phrases became more fluid, indicating a different bond between the body, mind and spirit. And there was one lengthy section in the middle of What Do I Remember that deserves special mention. All four dancers were sitting cross-legged on the floor, cycling through a series of arm gestures. It was so tranquil and meditative, like as a community, they had found a special sense of peace through a practice of mindfulness.